What TalentLMS Triggers and Actions are Supported? New Branch - Triggers when a new branch is added. New User - Triggers when a new user is added. New Event - Triggers when a new event is produced. New Course - Triggers when a new course is added. New Category - Triggers when a new category is created. New Group - Triggers when a new group is added. Custom Fields - Triggers when a new custom field is created. Find User - Finds a user. New Course - Create a new TalentLMS course. New User - Create a new TalentLMS user. 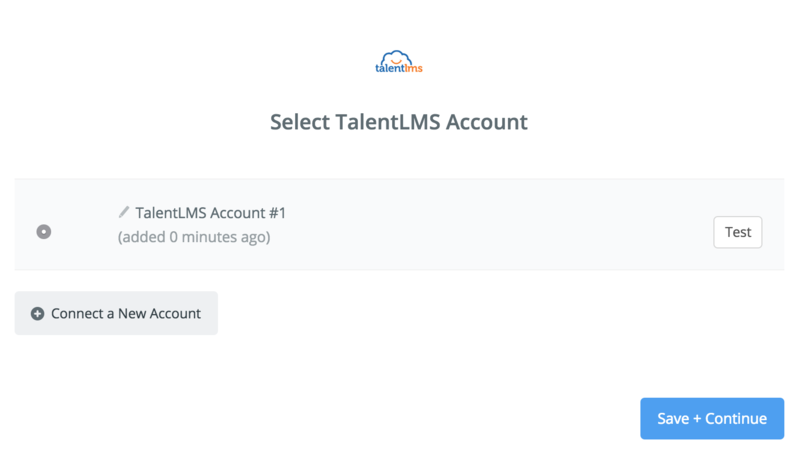 Add User to Branch - Add a TalentLMS user to a TalentLMS branch. Add User to Group - Add a TalentLMS user to a TalentLMS group. Add User to Course - Add a TalentLMS user to a TalentLMS course. 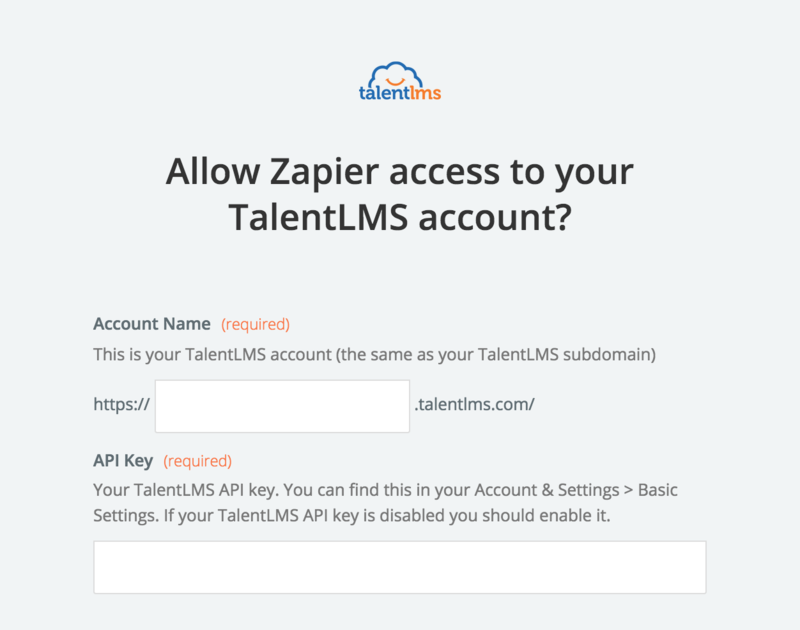 To get started with TalentLMS, first, click to add a TalentLMS account to Zapier to be used in your Zap. Your subdomain is simply the account name that appears in the URL after logging into your TalentLMS account. To find your API Key, you'll want to head to your Basic Settings and then scroll down to the "Security" section. If your TalentLMS API key is disabled be sure to enable it. Once you've entered that information in Zapier and clicked continue, if the information provided is correct, you will see your account successfully connected. We don’t have any common problems documented yet, but feel free to contact us so we can help you personally!